A true island situated between the Cooper and Wando Rivers, Daniel Island consists of 4000 acres and is one of the nation’s most successful master planned communities. Situated within the City of Charleston and named a “Top 100 Golf Community” by Travel & Leisure Golf magazine, the Daniel Island development has also been recognized as a “Nation’s Top Suburban Smart Growth Community” by the Best in American Living Awards and, in 2007, was selected as a top ten winner of the Urban Land Institute’s (ULI) Awards for Excellence. Originally named after the Colonial Governor of the Carolinas, Robert Daniell, the island was privately owned and used for farming, ranching and hunting. It remained relatively undeveloped until 1996 when the concept of the master planned development began. Daniel Island has kept the open area concept with over 20 parks, including 8 main parks, each centralizing adjacent neighborhoods. Over 18 miles of hiking and biking paths wind throughout the area and a few of the many recreational opportunities also include swimming, tennis, soccer, basketball, volleyball, canoeing, and kayaking. Many parks take advantage of the natural marsh landscape and the 23 miles of rivers and creeks which also provide habitat for area wildlife. Area attractions include the 17 court, 10,200 seat Family Circle Tennis Center which hosts the annual WTA Tour’s Family Circle Cup. The soccer specific Blackbaud Stadium, home of the Charleston Battery, hosts national soccer and rugby tournaments and is also known for hosting festivals and headline concerts. Eco-friendly, the Blackbaud Stadium converted most of its area to solar energy in 2008. The private Daniels Island Club features 2 nationally acclaimed golf courses winding through the marshes and natural landscape of the island. 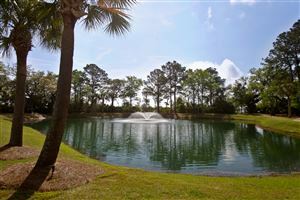 The centrally located downtown area has everything Daniel Island residents might need including shopping, restaurants, service businesses and doctor’s offices. The master plan includes condominium units in the downtown area with 2000 single-family homes, 250 townhomes and 586 apartment units making up the rest of the housing community throughout the island. Eventually Daniel Island will be home to approximately 15,000 residents who will enjoy all this area has to offer. Won’t you join us?